At his happiest after a long nap in an obscure suburb of North Birmingham, accompanied by a bible of cryptic crosswords, a regular supply of rather scary looking Hungarian meats and the sounds of a seasoned flamenco singer who smokes 60-a-day, Jamie’s life can only get better if nipping to a shady backstreet pool establishment to discuss the finer points of the darts or Douglas Adams characters. He has also been known to concoct a fine apple strudel in his time. Squashing an English and Philosophy degree in between crosswords and the snooker, Jamie put his degree to good use, developing an admirable technique and ear for flamenco, accompanying dance classes and workshops in the Midlands alongside Ana Garcia and various visiting dancers. Playing guitar since the tender age of ten, for which we can pin most of the blame on his Dad, Jamie also plays in the rhythm section of the much-admired bonkers Birmingham-based band, The Destroyers. Recently, he performed for a run at The RSC, Stratford, for the production of Cardenio, whilst he has also been known to pull out a mandolin with annoying ease. Afflicted by a mildly worrying obsession for following West Bromwich Albion to such sun-trap destinations as Scunthorpe, Middlesbrough and Wigan on a wet Tuesday night in late November, Sam does little to prove his sanity by taking equally strange voyages to distant corners of Eastern Europe on a lonely hunt for vegetarian food and real ale. 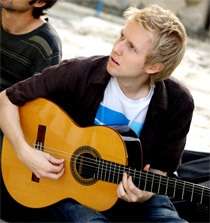 Somehow acquiring a degree in History in 2004 (although he does still owe £63.57 in library fines for hiding books on Mussolini), Sam was taught the guitar from the age 11 by composer and guitarist Bryan Lester, forming 33.3% of Trio Gitano with Jamie back in 2000. 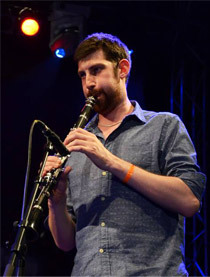 He has long been keen on improvisation, jazz and Indian music, and also performs with the Indo-Jazz fusion group Marva, led by Tabla player Manveer Singh, alt-folk singer-songwriter Katy Carr, and recently, along with Jamie and co-composers Bryan Lester and David Hewson, composing music for EMI Production Music. Sam was recently awarded a Professional Development Award by the Musician’s Benevolent Fund to develop a collaboration with sitar player Roopa Panesar. Along with Percy, he directs creative music producers Mubu, and the Stoney Lane record label. Aside from possessing the finest name in the Western Hemisphere, Percy is best known for spending 43% of his annual income in far-too-hip coffee shops, whilst also once managing to consume 18 fried eggs, care of the Harvester’s much acclaimed ‘ham and as many eggs as you want’ deal. Despite our blunt refusal to pay him doubling fees, Percy still insists on playing double bass and trumpet (and even the occasional cajon), although alas not at the same time. After graduating from Birmingham in 2004, ‘The Glove’ studied for a year in New York at the New School for Jazz, returning to our shores in 2006, now lecturing in jazz at Birmingham Conservatoire, tutoring at the Royal Academy of Music, and a first-call for various workshops and teaching throughout the country. The UK coffee industry has never looked back. Percy has featured in a number of performances aired on BBC Radio’s Jazz on Three, including live concerts with Alex Hawkins, Peter Evans, Paul Dunmall, Elliott Sharpe and a number of radio and televised concerts with the WDR Radio Big Band, Koln. 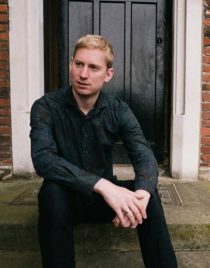 A featured soloist with the Birmingham Conservatoire Jazz Orchestra performing the Miles Davis/Gil Evans classic, Sketches of Spain, and also now working on his PhD after the great success of his new work written for octet and eight-voice choir – ‘Far Reaching Dreams of Mortal Souls’ – based on speeches and associated works of iconic figures through history. . He co-directs the Harmonic Jazz Festival, and apparently even made a fleeting appearance in Inspector Morse many moons ago. Having kept gourmet cake and biscuit makers in record profits for the past decade, Holly is best known for having smashed all current records on file in June 2007 for ‘most jaffa cakes consumed in a single rehearsal’. Not resting on her laurels, she enjoys beating her own record on a monthly basis. After famously talking a hand-gliding instructor to a near-death experience somewhere above Greece at 1500ft (despite the fact he didn’t speak English), Holly was unanimously presented with the coveted-role of ‘keeping the driver awake en route from distant late night gigs’, a position she holds and excels in to this day. Holly studied classical flute at Birmingham Consevertoire, where she developed her interest in cake, jazz and improvisation. Since her first year at music college, she was flautist for Svengali, a Midlands-based jazz funk-fusion band, taking in gigs at Ronnie Scotts with the likes of Guy Barker. Since coming to Birmingham, Holly has performed and recorded with a number of fine bands and appeared on albums ranging from breakbeat through to indie-pop. She headlined at the Fuerteventura Jazz Festival with ‘The Players Sextet,’ alongside top Midland ‘ex-pats’ Sam Pearce, Roger Perks and Steve Sherriff, and recently toured the UK with a group of Kosovan musicians and storytellers in a new commission from Ulfah Arts. 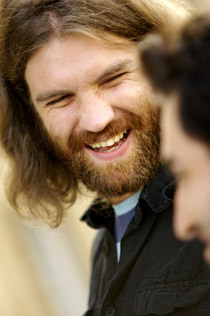 After our towering violinist and founding member Louis Robinson left to graze his beard in 2014, it was only natural that we should to employ the second tallest fiddler in the country to replace him. 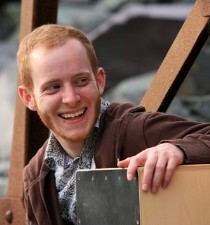 A fourth generation musician, working as a violinist, pianist and arranger in London, Kit studied at Trinity College of Music with Michael Bochmann and Andrew Haveron where he received a first class degree (apparently no money changed hands) and several prizes for solo and ensemble playing. After graduation, he played with the Philamonia de Santiago Chile, performing much of the core ballet and opera repertoire. Back in London, he continued a busy recording and performing career, with the Heritage Orchestra and the National Symphony Orchestra, working with artists as diverse Tim Minchen, Aphex Twin and Anthony and the Johnsons. He is passionate about the role of the violin in jazz and other improvised music from across the world, and has played in the London, Montreux and Berlin Jazz Festivals and toured with Jamie Cullum and Bill Lawrence (Snarky Puppy). In 2012, Kit travelled to Mysore Indian where he studied with Nadayogi V. Ambaprasad, writing an article about Karnatic violin that was published in Strad magazine. His television work includes hand-doubling for Rupert Everett in the BBC’s adaptation of Sherlock Holmes. He also wrote and performed the music for Peugout’s Renault clio advert – check out the censored video! In 2015, Kit embarked on what is surely the highlight of his career, taking the train to Birmingham to sample Jamie’s chilli jam. Despite since twigging she is a little partial to the occasional pint or two of Rum after gigs, we were very lucky to catch Joelle off-guard one afternoon and coerced her into joining the band in spring 2011. 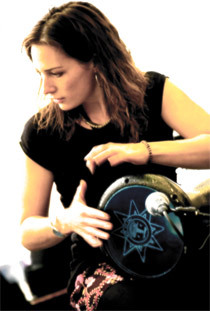 Joelle plays a range of percussion and drums, specialising in world percussion, and is found all over the UK and Europe performing with many fine projects. After graduating in Music from SOAS (University of London) in 2004, she couldn’t resist returning to the lure of the bright lights of the Birmingham homeland, and has since played across many genres with a wide range of fine musicians, including Yasmin Levy, Celloman, Ruby Turner, Attab Haddad, Manveer Singh’s Marva and our good friend Frank Moon. She has played throughout the UK and internationally – from India, America, Poland and Finland to Glastonbury, Barbican, Bestival and Maidavale. Most recently, she worked with the excellent Oud player and composer Khyam Allami at the RSC’s controversial production of Marat Sade. She also stretches herself in all sorts of perculiar directions teaching dance and percussion workshops. Joelle is endorsed by the Cooperman Drum Company. Known throughout Europe for being the politest man to herald from the UK in the 21st century, the splendid multi-reedist Lluis Mather migrated from the outer planes of rural Leicester to the sun-tipped shores of central Birmingham in 2006 to study jazz and composition at Birmingham Conservatoire. 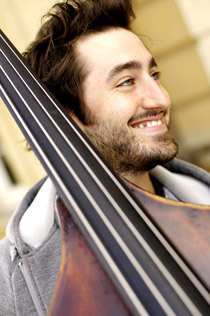 Graduating in 2010, winning the Dave Holland Ensemble award en route, he has since become an increasingly sought-after musician, predominantly on tenor sax, most recently touring and recording with the Hans Koller Ensemble, led by composer Mike Gibbs. 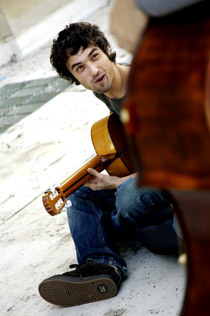 In spring 2013, Lluis was awarded one of three national ‘Jazzlines Fellowships’ at Town Hall/Symphony Hall Birmingham, whilst with his own group – Noose – he is set to release an album of his intricate compositions, many influenced by specific works of literature and poetry, featuring guest saxophonist Julian Segal. With his TGC (bowler) hat on, Lluis initially started playing with the band in 2012 as a pretend-violinist on clarinet when Louis was busily engaged elsewhere platting his beard. However, we soon realised his admirable pseudo-French accent was truly irreplaceable and a beacon for our future artistic development, so swiftly coerced him to become the Magnificent Seventh member of the band in spring 2013. Inventor of the piano in 1787, and spiritual leader of music in the west, Bryan is a rather talented guitarist, pianist, composer, arranger, teacher, and purveyor of fine quality stews. We also think he’s about 142. Currently working in composition-overdrive for a project for EMI with Sam, Jamie and old friend Dave Hewson, Bryan worked tirelessly with Trio Gitano between 2000-2005 as Musical Director, and continues to write and arrange for all instrumental shapes and sizes, with his great love for guitar and piano often taking him back to his first instruments. 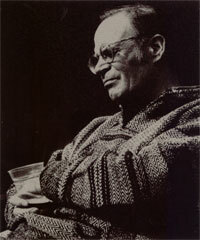 The nifty-fingered Lester has arranged several of his works for TGC, whilst also working with the equally unhinged and talented accomplice Keith Cole in both performance and composition. In his many hundreds of years on the planet, Bryan first studied at the Royal Northern College for Music, with his first professional work in a series of concerts with the Halle’ and the BBC Northern Symphony Orchestras under Sir John Barbirolli. He also toured as a guitarist and lutenist with the Northern Consort of singers. His first performance as a guitarist/composer was in a concert with pianist John Ogden and the percussionist James Blades for the Manchester Institute of Contemporary Arts, and has since gone on to work as a recitalist worldwide, in concert, recording and on television and radio. 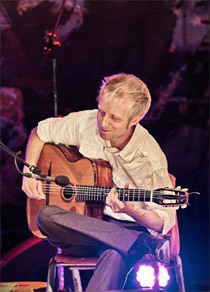 He has also published a series of books on guitar technique, inspired by the didactic approach of Bartok’s ‘Mikrokosmos’ for piano, and was a senior lecturer in experimental music and music in film in Kent. In the 1990’s, Bryan’s music was featured in the ‘Prestige de la Guitare’ concert series in Brussells, given by the Los Angeles Quartet, the Assad brothers and Eduardo Isaac, who also recorded Bryan’s Jazz Fugues for guitar. In more recent years, until 2007, Bryan concentrated his energies in to The Birmingham Schools’ Guitar Ensemble, a group he founded and ran for young advanced players for over 20 years, nurturing many now-professional guitarists – indeed where Sam and Jamie first met in the mid 90’s. He was also commissioned by the Birmingham Music Service to compose a work for classical guitar ensemble in 2008. He now spends much of his time composing, eating Apple Strudel, and musing over new and challenging ingredients for his bewitching cauldron of stews.